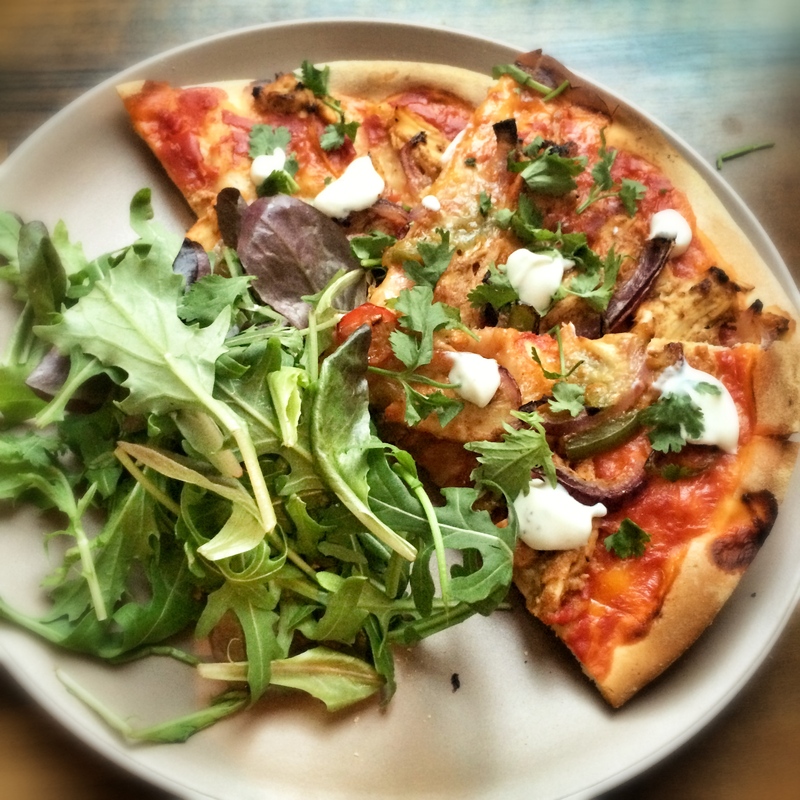 I love try new pizza toppings and one of my favourites to have when I’m eating out is a Chicken Tikka Pizza. I therefore couldn’t wait to try and make my own healthy version so that I could indulge in it at home, guilt free. I’ve included a few cashew nuts in this recipe as it really gives it a nice different taste however if you don’t fancy them, just leave them out and the whole recipe becomes 8sp per person. Preheat the oven to 180c and pop two pizza baking trays inside to warm up. Add the marinade ingredients to the chicken and let marinade for a while (around 1 hour if you have time), if not, just mix together and pop to one side. 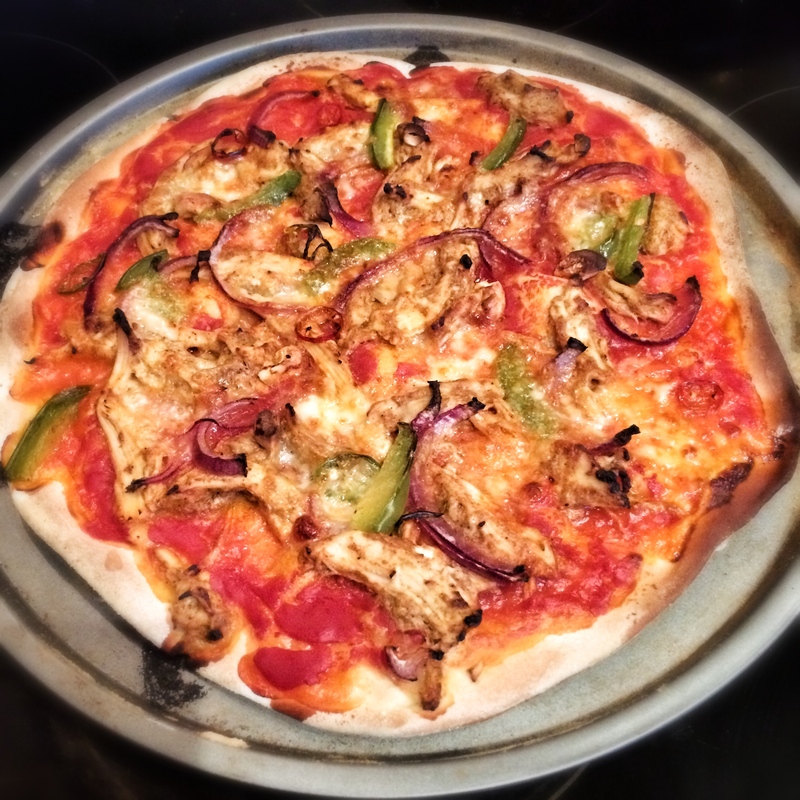 Take the pizza tray out the oven, spray with 1kal and pop the wrap down on the tray. Top with 2 tbsp tomato puree per wrap then scatter over the onion, peppers, cashew nuts and chicken. Evenly distribute the mozzarella and then pop in the oven for around 10 -12 minutes. Remove from the oven and pop onto a plate. Top with a drizzle of the mint yoghurt, squeeze over the rest of the lime and scatter over the fresh coriander.